It is very understandable that most Washington State residents want their divorces to be finalized as quickly as possible so that they can move on to their new lives. However, the time that it takes to complete the divorce process will vary considerably depending on the details of your marriage. A divorce can take as little as 90 days in Washington State, though this timeframe is usually only accurate for amicable divorces that don’t involve children or complicated finances or property. A divorce can take two years or more both spouses are uncooperative, if you must determine child custody, or if you have a significant net worth. How long have you been married? If you’ve only been married for a few years, it may be significantly easier to separate your lives, figure out how to split your assets, and start anew. If you have been married for a number of decades, however, it may take you longer to untangle your lives and prepare for divorce. How complicated are your finances? Couples with separate accounts who don’t own property may find divorce and property division to be a breeze. However, couples with complicated lives, many assets, and multiple investments might find themselves fighting over exactly who gets what. Do you have kids? If you have children with your spouse, you will need to discuss the issues of child custody, child support, and child visitation. You also may want to extend the divorce process so that your kids experience a more gradual and less jarring change. Is the divorce acrimonious or amicable? If you and your ex are both on the side of compromise, empathy, and understanding, you can aim for a shorter divorce process by working together. If one or both partners decide to put up a battle, you may end up with a trial and a much longer divorce. Divorce may also take considerably longer if it involves issues of domestic violence or abuse. 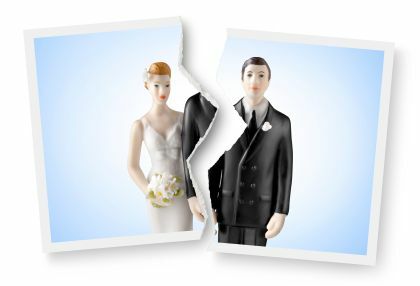 Are you considering divorce mediation? Divorce mediation can speed the process of divorce considerably—only if you and your spouse are willing to work together and follow the rules set by the mediator. How long does it take to recover from the emotional strain of a divorce? While the answer is obviously different for everyone, one group has conducted a study and found an average: 17 months and 26 days. The timeframe includes both getting over the emotional stress of a divorce and getting through the legal aspects of ending your marriage – including the separation of property, child custody agreements, and moving. One out of five respondents said that they have still not and may never get over their divorce. A few more numbers: most begin to feel better 16 months after their divorce and content after 18 months. The average time before a divorcee begins dating again is 15.5 months. While every divorce is different, and everyone is allowed their own feelings, it can be comforting to know that the vast majority of those going through a divorce do reach the light at the end of the tunnel and are able to move on. Do you need legal counsel? Contact the Law Offices of Molly B. Kenny today to speak with a Bellevue divorce attorney: 425-460-0550.